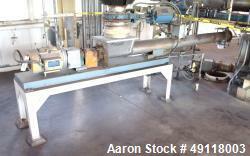 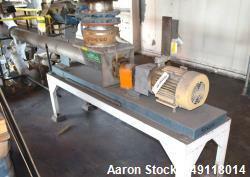 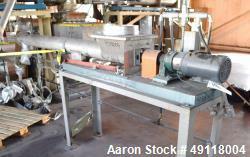 Used-K-Tron Loss-In-Weight Twin Screw Feeder, model K2-ML-T35. 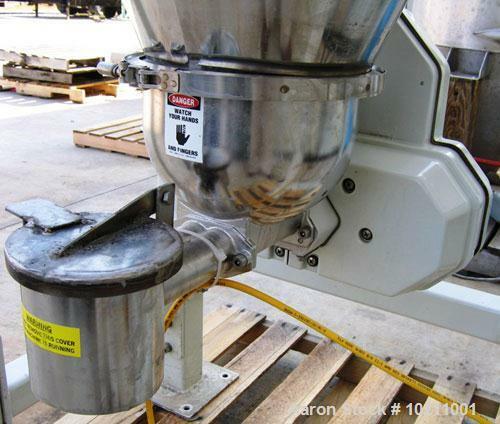 1" diameter twin concave profile screws. 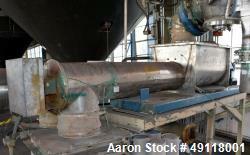 Stainless steel material contact surfaces. 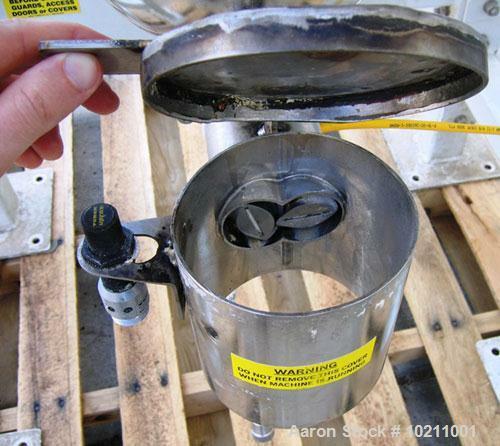 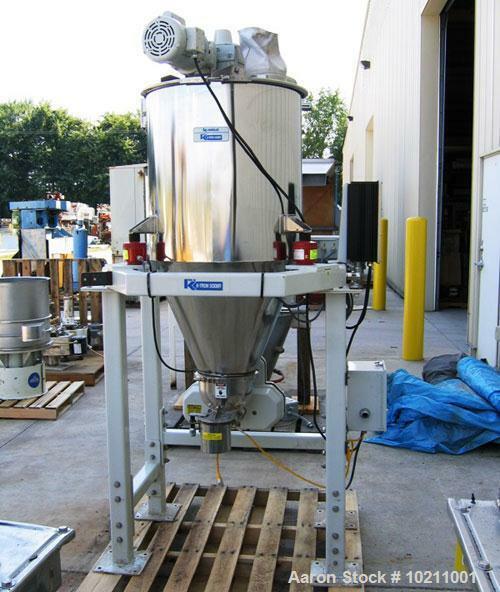 6.4 cubic foot asymmetrical hopper with vertical agitator. 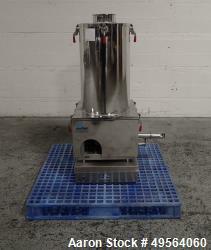 6" diameter inlet with filter sock vent. 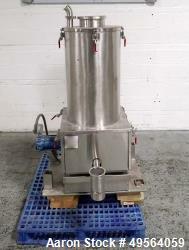 Unit mounted on mild steel painted frame. 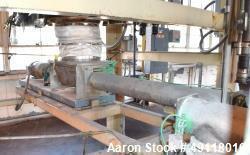 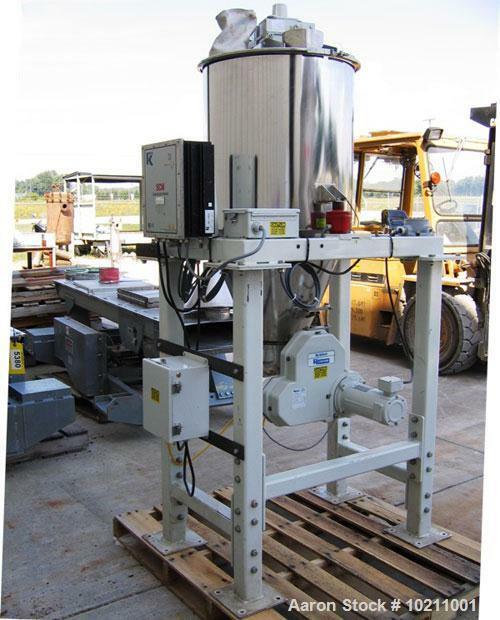 Twin screw feeder suspended in a three point weighing system. 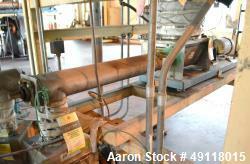 Horizontal agitator/bridge breaker. 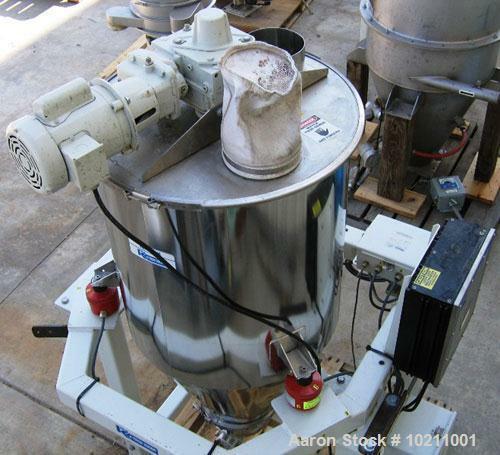 Mounted smart control module (SCM). 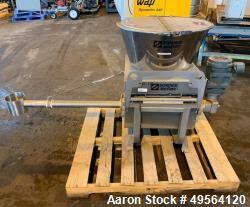 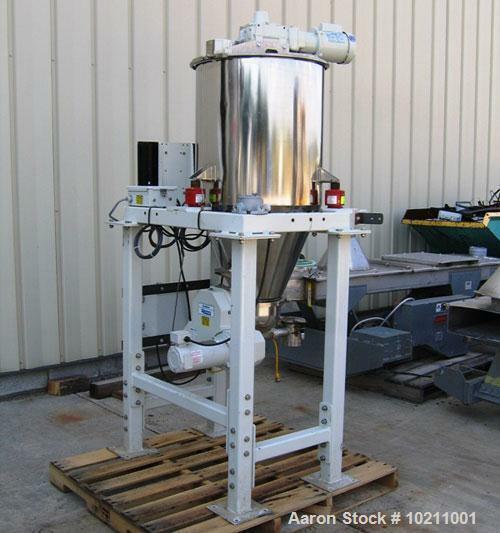 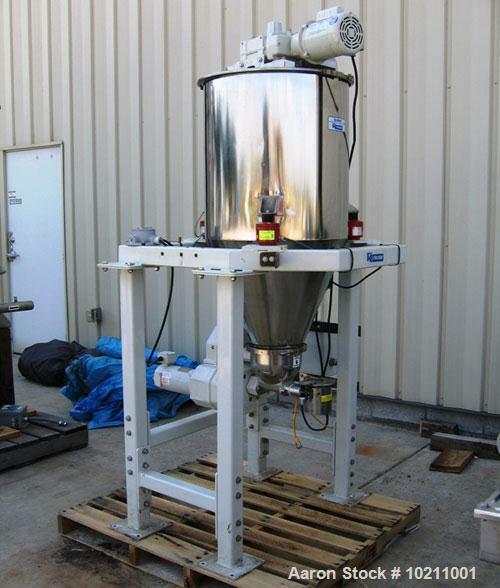 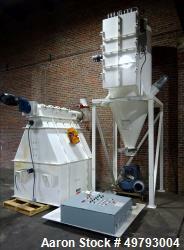 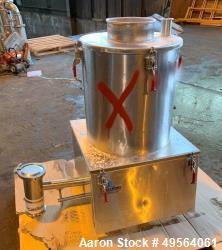 Used- HAF Equipment Feeder/Dust Collection System.